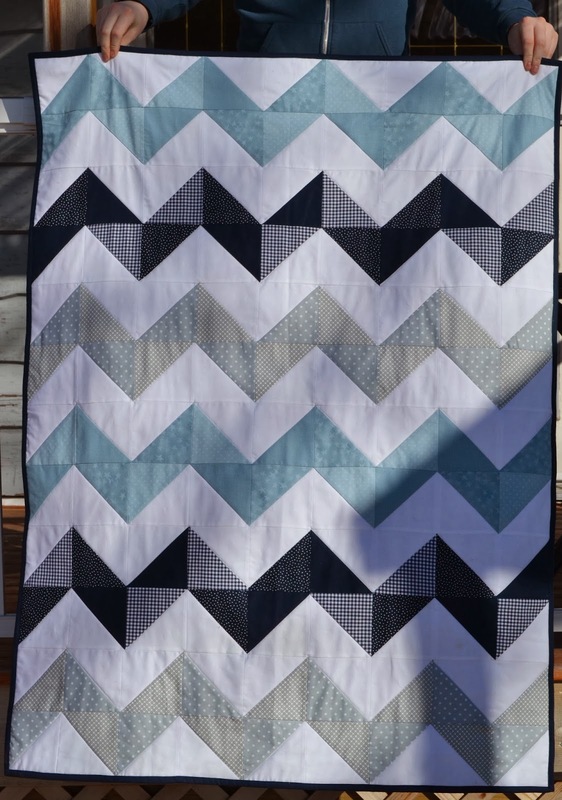 Here's the finished product from the navy, grey and light blue chevrons. 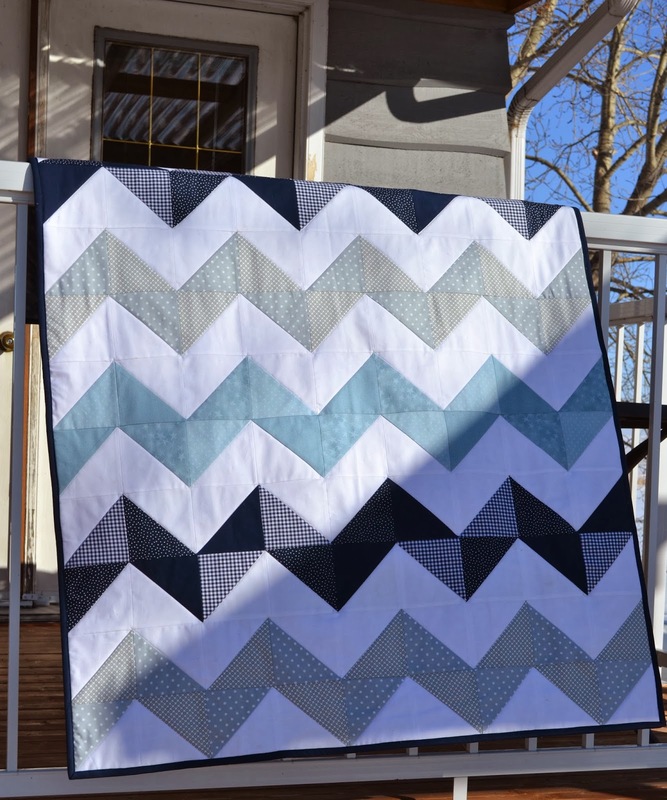 I just love the Minky on the back of these quilts! I hope this baby will love the quilt!